GlobalOla! One World. One Game. One Wave. - Be part of it! 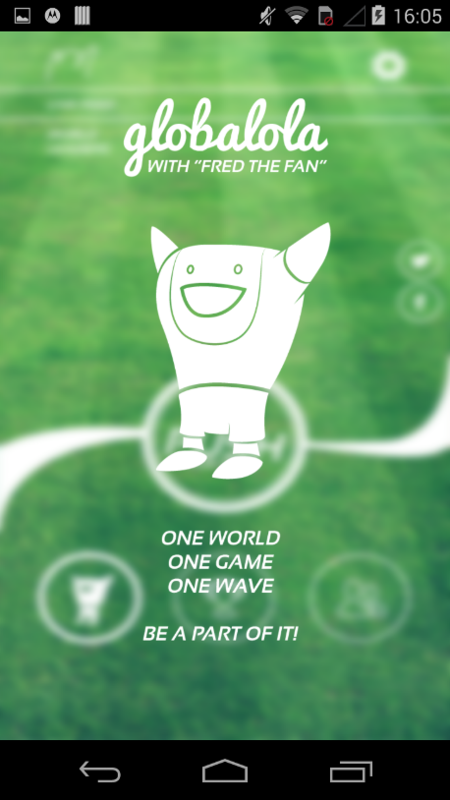 One World - One Game - One Wave. Be part of it! Available in Play Store. App Store coming soon! Help to spread this idea out into the world! ... and set a new world record: The largest La-Ola-Wave including all countries at the same time! 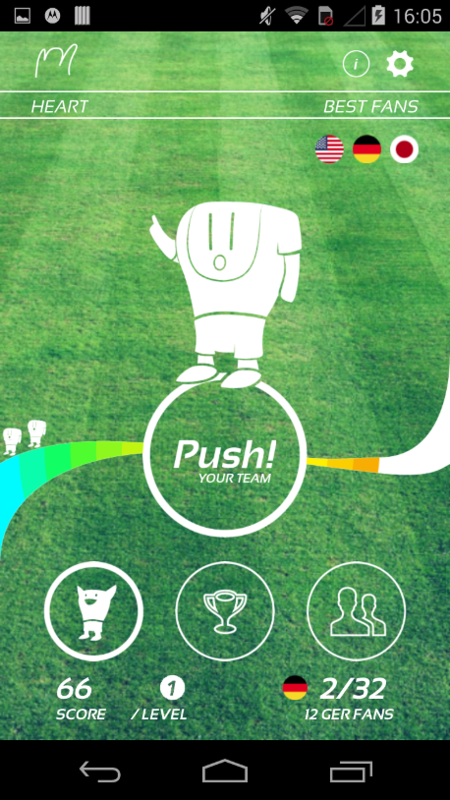 Push! your team and share your passion! 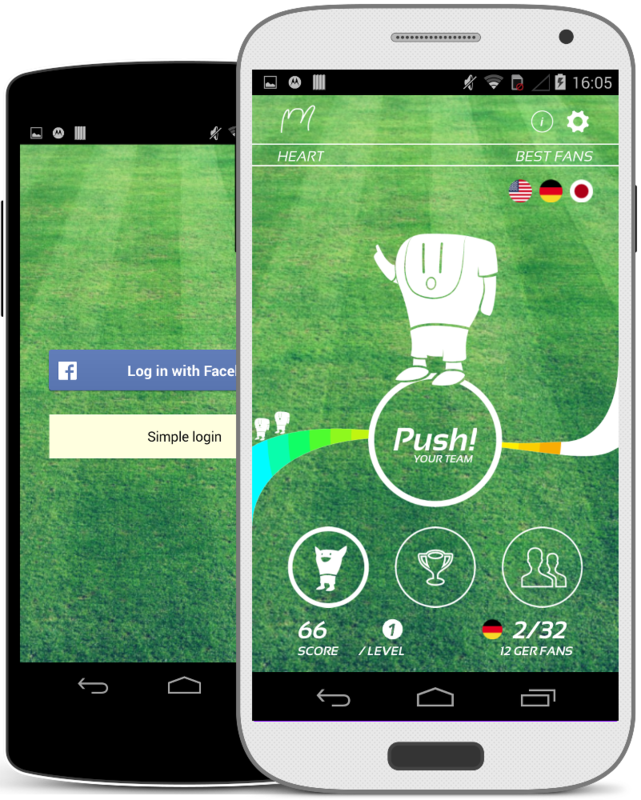 Get scores for every click and try to be the best fan of your country or even of the world! Make Fred happy before the wave starts and show the world that your country has the best fans. Score for you and your conutry! Donate 1 Euro and help to make all Brazilians, but especially unfortunated kids to winners of these games too. Have a lot of fun with "Fred the Fan". He will be your partner during the whole game. Enjoy! Football is nothing without us FANs. So it‘s time that WE and the PEOPLE IN BRASIL play the center role of our passion these days. This is a one-in-a-lifetime chance to let dreams come true. Support our idea to make the world a little better and help that the millions of unfortunate Brasilians, but especially the children become winners of this football world championship too. Help to spread this idea out into the world by joining the world-wide-laola-wave the GlobalOla together with millions of fans worldwide in the final. Download the globalola app & have fun with "Fred the Fan"! Be excited and wait for the apps signal to jump the GlobalOla in the final! Try to get the best fan of your country or even the world meanwhile! 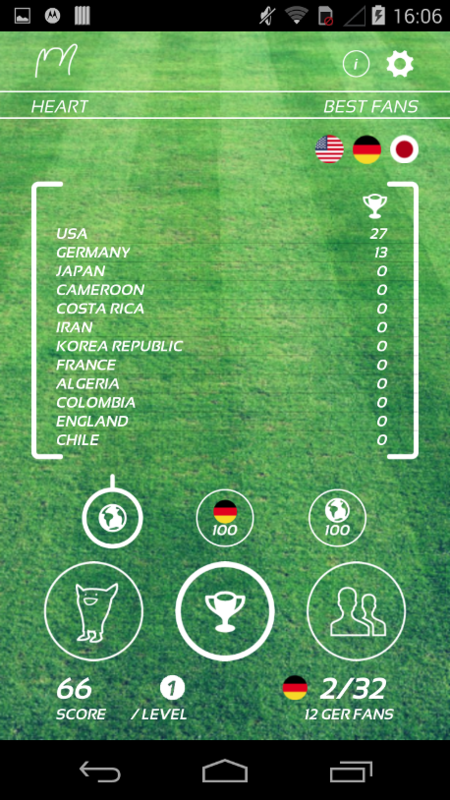 Make your country the 1st Fan World Champion! 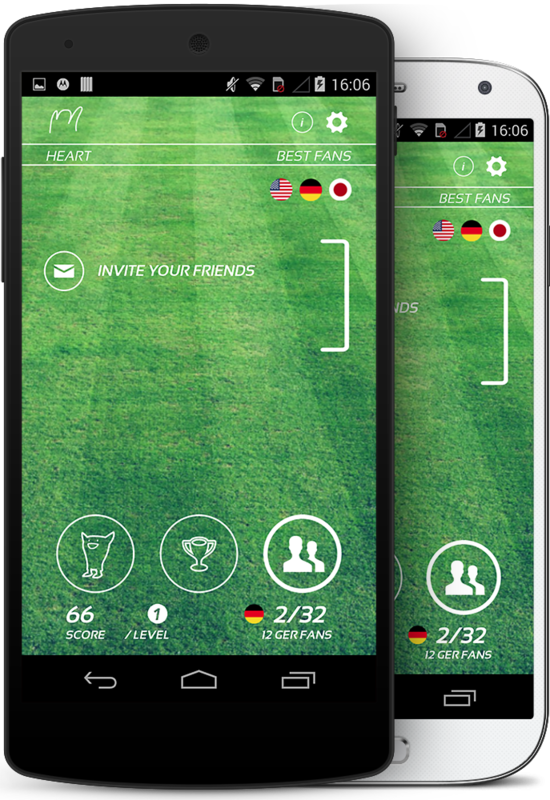 1) Get the App and choose your country. 2) Make me happy and Push! your country. With every click you score one point for you and your country. 3) Tell your friends! The more people are excited, the more all of you score for your country. 4) And finally during the final match: Team up with all football fans around the world to the first global la ola wave in history, the GLOBALOLA. 5) In the meantime: Have fun with Fred the Fan. Check out my La Ola Songs at Youtube and Vimeo, vote which one you like best and upload your video to our facebook wall when you sing or dance the GlobalOla songs. Get a quick overview of the main features. Be part of the largest La-Ola-Wave in history and Push! your Team during the meantime, to get as many Points as possible for you and your Country. If you are lucky you and/ or your country will be the 1st Fan-World-Champion. Just share your ecstasy and join now! Donate 1 Euro if you like the idea and have fun with our app. By donating for GlobalOla you get the chance to make dreams come true for unfortunate Brazilians and make them to winners of this championship too! 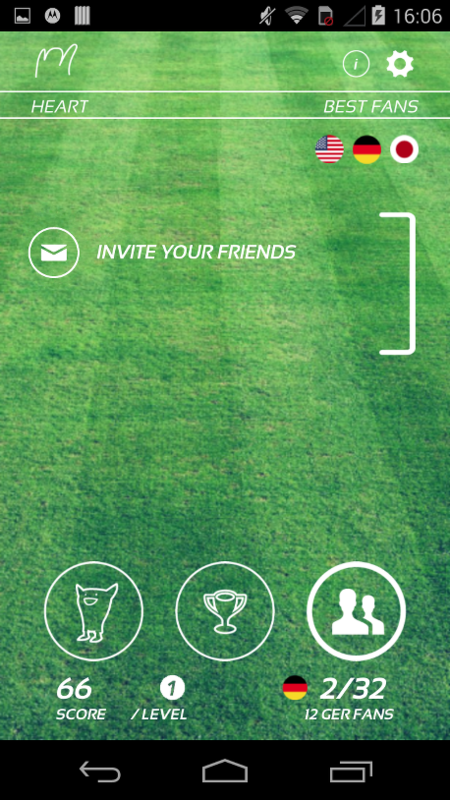 You also actively help the development of the GlobalOla-Application. 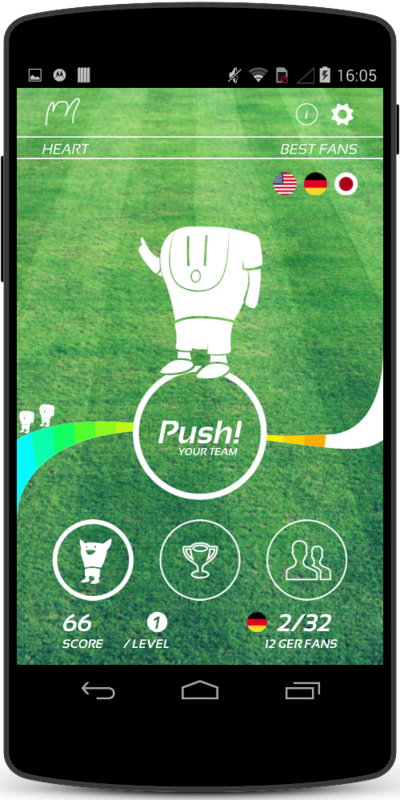 Have fun with "Fred the Fan"
"Fred the Fan" is your partner and the 12th player on the field of your team. Fred will try to get as many waves together with you and your country. He also is rating your individual performance of each wave you caught! So, don't wait and say "Hello to Fred". Start now! Get a feeling how the App does look like and go for it.